It's about time. 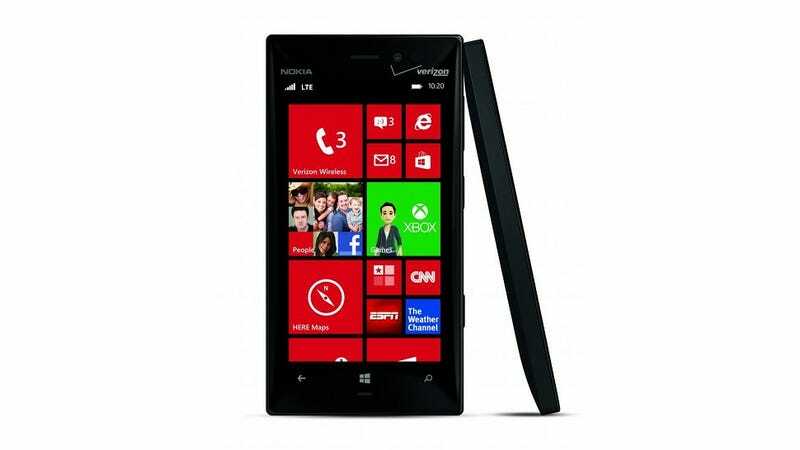 Nokia just officially announced the new Lumia 928, and finally, there's a great Nokia Windows Phone on Verizon. The 928 is a Verizon exclusive, and an update to the 920, which had been exclusive to AT&T. The biggest feature is that it's significantly thinner and lighter than the 920, and retains the same optical stabilization, screen and guts as the original. It's also been rumored to have moved to an aluminum body, instead of the polycarbonate that has defined the Lumia line until now—though details on materials are strangely absent from official information so far. The heft of the original 920 was one of the only downsides to the phone, so it's great to see that being addressed. Nokia's been on a warpath to make the "most innovative" and technologically advanced phone, which it's acknowledged can affect how small it can get the phone. That led to a fear that it would just always produce monstrously sized hardware, but it told us recently that it was listening to feedback. Looks like it paid off. One key difference is that the 928 gains a Xenon flash for still images, which is a big improvement for photos, even though it's presumably got the same low light capabilities. It's also using an OLED display, instead of the "ClearBlack" panel used on the 920.